Our raid team can currently accomodate healers and dps. Social members are welcome. 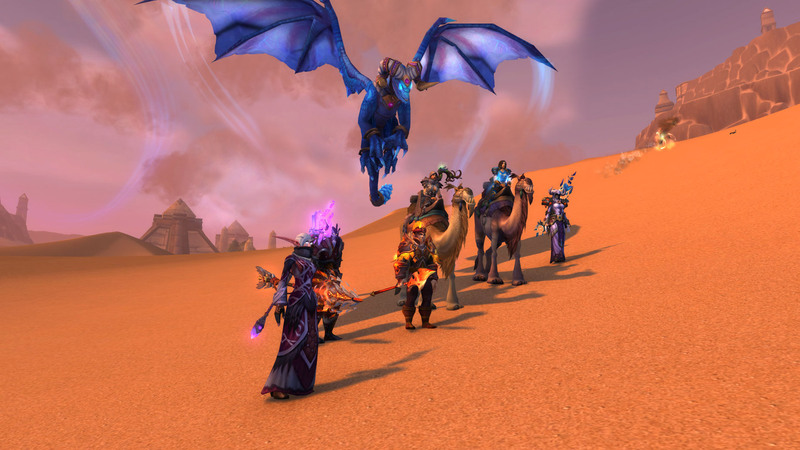 Nestinar allies can be other guilds or players who wish to cooperate on raiding, trade or socialization. NESTINAR is a World of Warcraft guild on “The Argent Dawn” EU realm at the side of the Alliance. We tag ourselves as Themed-PvE. The guild was founded on 11.11.2011 and has since become an expanding circle of friends or otherwise called a congregation of like-minded players, tightly knit in our determination to conquer daunting game challenges, welcome new members and socialize in a safe, relaxed and fun environment. 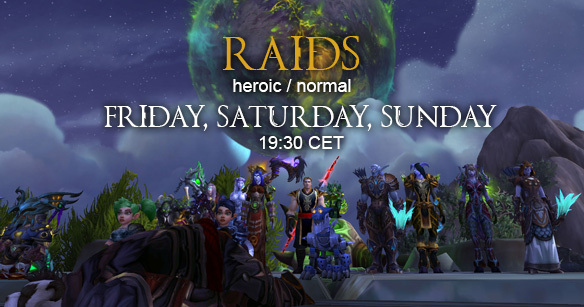 Nestinar holds weekly raids and enjoys spontaneous grouping for mythic+ and various activities every evening. Our gaming also extends to other Blizzard games and shared fandoms beyond. In raiding we offer laid-back atmosphere with transparent rules and structure, where everyone is expected to strive to give their best and be willing to improve. We value common sense and good attitude. 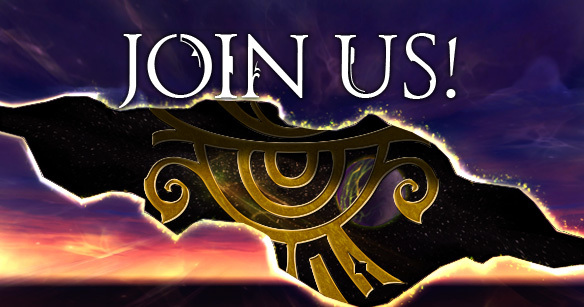 We call ourselves a thematic PvE guild, which means we respect the game story and have a guild lore which gives context to our actions and characters. We maintain an atmosphere where Nestinar is part of the Warcraft story, but we are not a dedicated roleplaying guild. The theme is another level of immersion in the wonderful World of Warcraft both for those who love roleplaying and those who like to be in roleplaying atmosphere without actively participating. 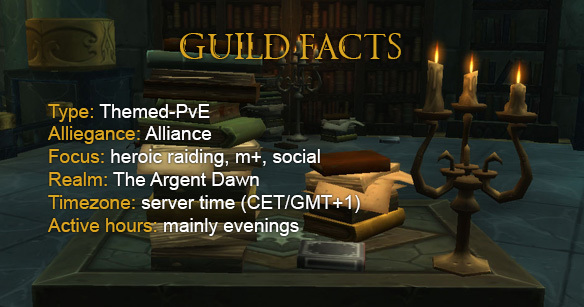 It is a background for playing the game, our focus is fun raiding, relaxed socializing and reliable guild management. Any form of discrimination and harassment is forbidden. Offensive language and attacking someone’s dignity regardless of cause and motive, either in character or out of character is forbidden. All criticism is handled in a polite, patient and friendly manner. He or she respects other players on the server and if provoked by profanity and negative attitude shall not answer in the same means and will file a report. He or she shall not participate in acts that detract from the enjoyment of the game for other players such as: ganking, trolling, camping, griefing, stalking, flaming, etc. He or she understands the meaning of common sense and common etiquette and will abide to them. Going astray of these principles will result in expulsion from the guild. In the years following the glorious victory over the Horde in the Second War, complacency befell the Alliance of Lordaeron. The solicitous voices of a small group from Kul Tiras were deafened by the silence of lasting peace. Alberon Arcanister, heir of shipyards in Kul Tiras and later known as the outworldly Haderach, rounded his vast family fortune to fuel the vision of the group: an untraceable network involving people of influence concerned with Azeroth's preservation. It was named Nestinar, meaning invulnerable to fire. The organization would abide to an adamant code and would not hold itself accountable to anyone. For its purpose it would pursue power and channels of opportunity on Azeroth and beyond. Through partnerships with the Ethereals on Outland, Nestinar's capabilities have grown exponentially. Nestinar is now focusing all of its resources aiding the Alliance in the campaign against the Burning Legion itself.